In Hong Kong, Tsing Ma Bridge is one of the landmarks and one of the most attractive photography objects for both tourist and local photographers because of the bridge's excellent architecture and magnificent view. People are always energetically have been taking photographs of the magnificent bridge from different angles. Some landscape photographers even climb nearby high rising mountains for taking the bridge's photos. 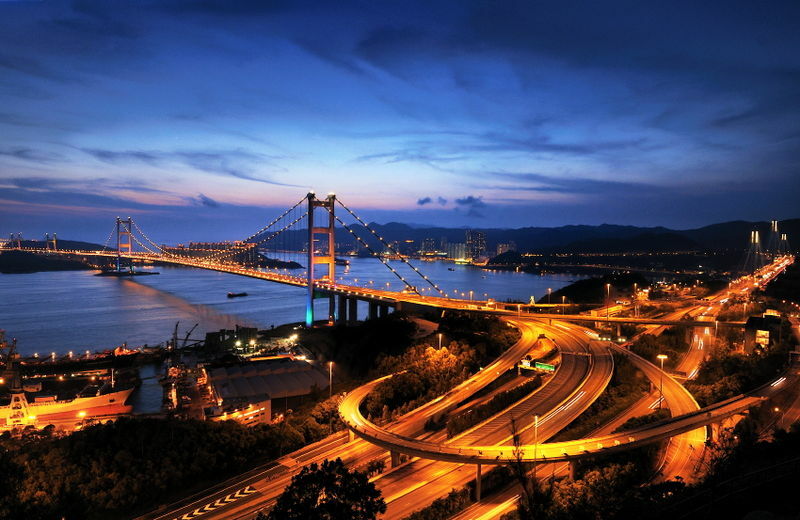 If you think Tsing Ma Bridge view is magnificent, you definitely enjoy the Tsing Ma Bridge Circle view more than that, because the Tsing Ma Bridge Circle view is spectacular. If you are a regular hiker, it will be jujupi for you, but unlike regular hikers it will be an adventurous photography location to discover because the spot is a little far away from the Tsing Yi Nature trail in the middle of the woods and bushes. If you would like to visit the spot or take photograph of the bridge from the location, click Discover The Tsing Ma Bridge Circle article which gives you step by step route guidance. Thank you for visiting and see you in another "www.AllAboutHK.com's" article.